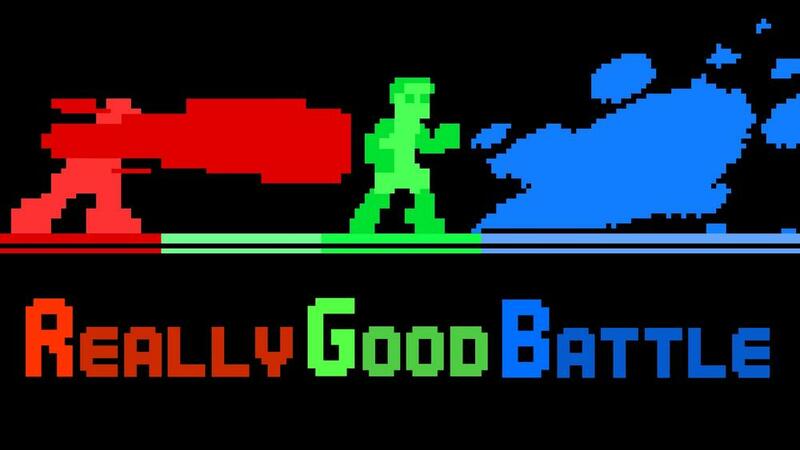 ReallyGoodBattle: Fast-Paced, Action-Arcade, Platform-Fighter with an early-Atari inspired minimalistic design. With 2 buttons and a joystick, defeat your foes (or friends) in a simple, yet satisfying way. Run along the walls and approach from all angles to land satisfying, one-hit-kills to win. With heavy emphasis on being accessible to all levels of skill yet maintaining its capacity to be played competitively.